TheraPlex-2™ is red and green plant matter (what we call our ruby reds and our emerald greens) for immune support containing antioxidants, B-complex vitamins, enzymes, phytonutrients, and electrolytes. All ages breeds of dogs may benefit from the highly bio-available micro-nutrients in TheraPlex_2™. 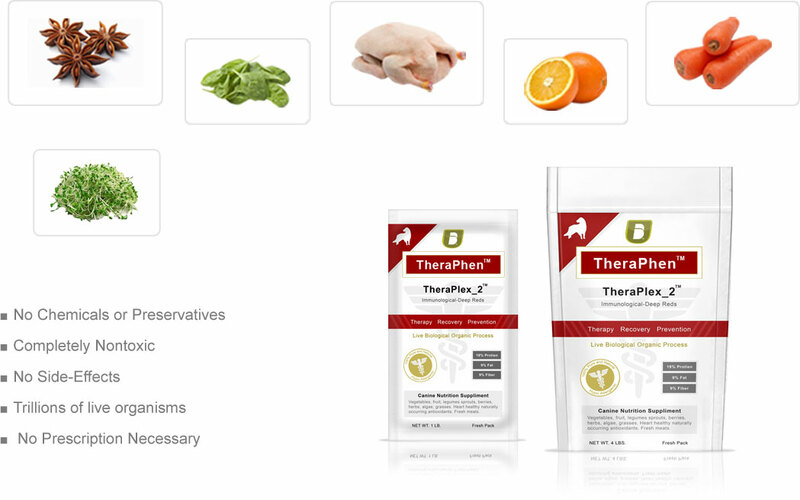 The water soluble vitamins in TheraPlex_2™ are important for the immune system of your dog. 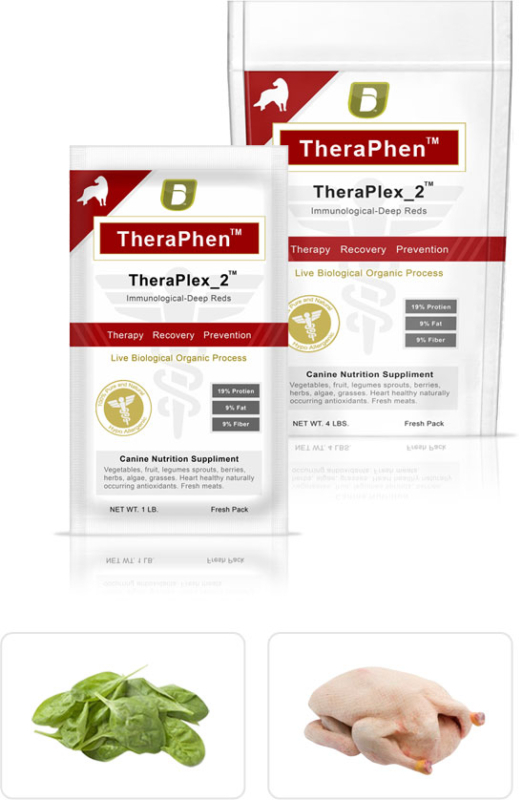 TheraPlex_2™ is whole natural organic and real. Dog’s love it! Antioxidants help prevent oxidation (cellular break down) by scavenging what are called “free radicals” and are widely thought to be effective in helping to prevent cancer, heart desease, stroke, and decreased risk of infection. has potent antioxidant properties. Recent studies have revealed yet again how antioxidants promote good health, by boosting the natural ability of the immune system to fend off disease. Studies reveal direct evidence that antioxidants can help the body fight infection caused by pathogens like bacteria and viruses. 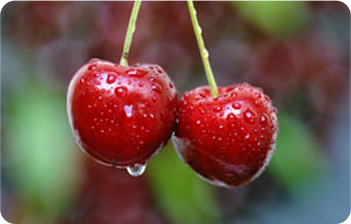 According researchers, this immune boosting activity may also underlie antioxidants protective effects against cancer. Earlier research has linked antioxidant consumption. Earlier research has linked antioxidant consumption with with protection against heart disease and various kinds of cancer, an effect attributed to certain antioxidant polyphenol compounds. New studies show that frequent consumption of antioxidant rich substances boost immune activity by stimulating the production of important antigens. Analysis of blood samples show that with the consumption of antioxidant rich substances (fruits, vegetables, herbs, etc.) significantly stronger immune responses occur against bacteria than did samples without. According to researchers L-Theanine, an amino acid found in antioxidant rich plant matter, acts as a precursor to an important type of antigen called alkylamine antigen. Antigens are immune-system components that prompt the body to create antibodies. The interaction between antigens and antibodies is a key aspect of the immune-systems disease fighting abilities. Antigens may be formed within the body, or, as in the case with alkylamine antigens are associated with tumor cells, bacteria, parasites and fungi, but also with plant products, such as is found in TheraPlex_2™. When your dog consumes TheraPlex_2™ the liver processes L-theanine into an alkylamine antigen called ethylamine. In turn ethylamine primes certain immune cells (known as gama delta T-cells) to mount a “memory response” when the encounter the antigen again in the future. This research has important implications for TheraPlex_2™ that dietary intake of antioxidants and polyphenlos found in fermented in vegetables, fruits, and herbs containing alkylamine antigens or their precursers can prime gama delta T-cells, that then can provides natural resistance to microbial infections and tumors. Conclusion: TheraPlex_2™ aids in recovery and maintenance of excellent health and Vitality. Just email, live chat, or call us for a prompt reply. Cancer Therapy/Healing & Rrecovery/Prevention/Rehabilitation. 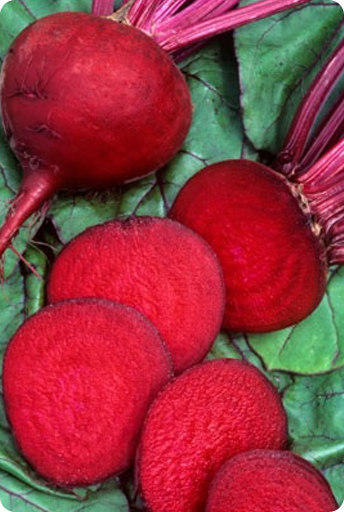 The brilliant ruby red color inherent in TheraPlex_2™ is carotene (ORAC: Oxygen Radical Absorbance Capacity). Oxygen radicals, or free radicals, are cell byproducts that can cause substantial damage to your dogs’ health.Contains thousands of antioxidant compounds.TheraPlex_2™ Cancer Therapy – Natural Organic Emulsion – Phloretin Glycosides, Antioxidants, and PolyphenolsMass quantities of nutrients must be ingested in a state of intense potency and high bioavailability. This is almost unattainable through eating, in our current era. Powders and pills can’t compare as the food must be wet and alive or it will not rescue. Low Na (sodium) and high potassium that is in the proper ratio is necessary to create an alkali-healing environment. Contains the class of vitamins called anutrients (alpha nutrients – including phenols, indoles, aromatic isothiocyanates, terpenes, organo sulfur compounds.) 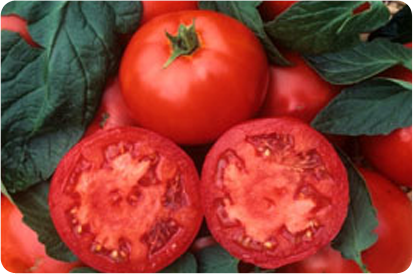 Shown to have protective effects against cancer (alpha carotene: found in raw, live fruits and vegetables). May be used in the treatment of all degenerative disorders. For more intensive therapy, double the dosage and purchase by the gallon at a deep discount. Chlorophyll has the unique ability to break down carbon dioxide and release oxygen. Chlorophyll Enriches the antioxidant value of the blood thereby boosting immunity. A synergetic combination of proactive enzymes that enhance bioavailability of nutrients for digestion and ease of assimilation. 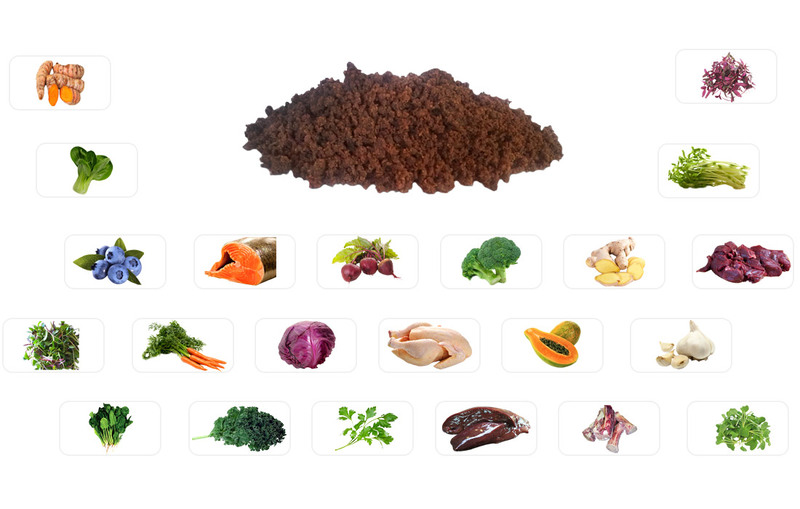 Includes an expansive variety of micronutrients enabling your dog’s physical vitality. An unparalleled proprietary processing method that supplies an extraordinary environment for beneficial bacteria growth and critical intestinal flora. Contains multiple classes of enzymes including Amylase, Cellulase, Lipase, Protease, and Lactase. 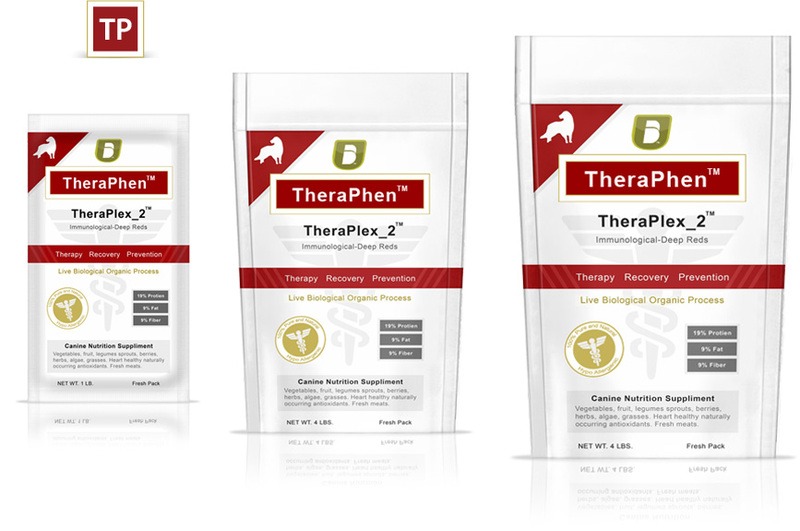 TheraPlex_2™ assists cancer recovery in canines by utilizing highly advanced, sophisticated botanical fermentation extracts: our proprietary VitaMethod; containing a high concentration of vegetable and fruit based proteins, oils, and pectins. TheraPlex is a homogenous emulsion containing acidifiers, phyto-nutrients, flavones, flavonols, fiber, enzymes, antioxidants, and electrolytes. 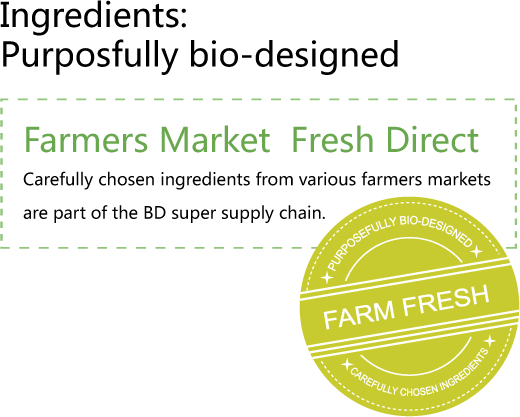 The bioavailablility of these ingredients are at their peak because the fermentations are elevated to higher levels before the TheraPlex is extracted. This amplifies the potency and purity, which also reduces kibble consumption. TheraPlex_2™ is also an effective colon cleanser-rejuvenator.